She is proud to have held the title: Sadeleer Family Research Faculty at Northeastern (2011-2016). Prior to joining the faculty of Northeastern University in 2006 (tenured in 2013), Garcia held a three-year appointment at Harvard, at the Belfer Center for Science and International Affairs, and the World Peace Foundation’s Intra-State Conflict Program. She holds a Ph.D., International Relations and International Law—Institut des Hautes Études Internationales et du Développement (Graduate Institute for International Studies and Development), University of Geneva, Switzerland. 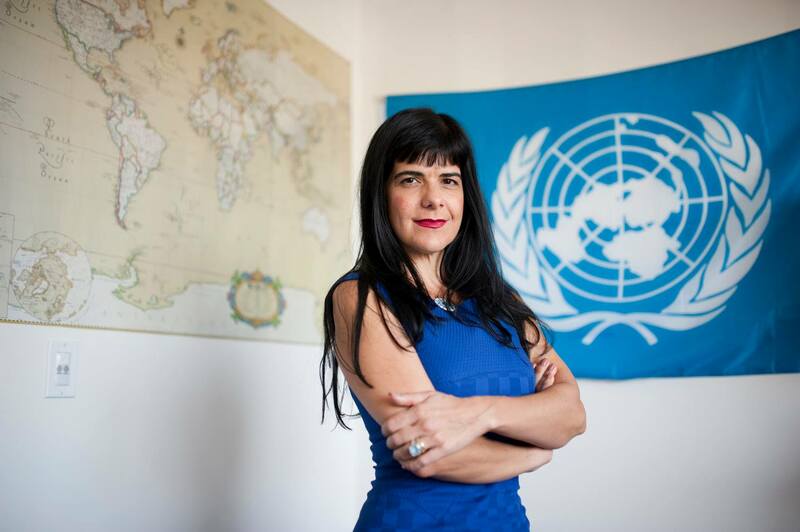 She is the vice-chair of the International Committee for Robot Arms Control, a member of the Academic Council of the United Nations and the Global South Unit for Mediation in Rio de Janeiro. A native of Brazil, Garcia is a devoted yogi, her hobbies include travel and surfing. Explaining Global Norms, International Negotiation 22, 380-401, (2017). I served as the editor of this Special Issue and also wrote: Introduction: Mediation and Negotiation in the Global South, pp. 377-379. Future arms, technologies, and international law: Preventive security governance. European Journal of International Security, 1, 94-114 (2016). Cambridge University Press. Preventive Action in World Politics (2016) with Monica Herz. Global Policy Journal. Vol 7 (2). “Humanitarian Security Regimes,” International Affairs, Vol. 91: 1 (2015). Oxford University Press. “Global Norms on Arms: The Significance of the Arms Trade Treaty for Global Security in World Politics,” Global Policy Journal, 5 (2014): 425–432. “Not yet a Democracy: Establishing Civilian Authority over the Security Sector in Brazil – Lessons for other Countries in Transition,” Third World Quarterly, 35:3 (2014). “Warming to a Redefinition of International Security – The Formation of a Norm against Climate Change,” International Relations, 24:3 (2010): 271-292. “Arms Transfers beyond the State-to-State Realm,” International Studies Perspectives, 10:2 (2009): 151-169. Antebi, Liran; Asaro, Peter; Baker, Deane-Peter; Boulanin, Vincent; Chengeta, Thompson; Dahlmann, Anja; Dickow, Marcel; Garcia, Denise; Geiß, Robin; Hahn, Erin; Hyunchul Shim, David; Kozyulin, Vadim; Lin, Dong; MacLeod, Ian; Moon, AJung; Reddy, Shashank; Sato, Heigo; Sauer, Frank; Strauß, Lena; Wong, Kelvin, “Focus on Technology and Application of Autonomous Weapons”; August 2017, International Panel for the Regulation of Autonomous Weapons, The German Institute for International and Security Affairs (SWP) and the Johns Hopkins University Applied Physics Laboratory. 26 pp. ; Berlin, Ministry of Foreign Affairs, Germany. ———-, “Computational Methods in the Context of Lethal Autonomous Weapons”; November 2017, International Panel for the Regulation of Autonomous Weapons, The German Institute for International and Security Affairs (SWP) and the Johns Hopkins University Applied Physics Laboratory. 24 pp. Berlin, Ministry of Foreign Affairs, Germany. Governing Lethal Autonomous Weapon Systems. Ethics & International Affairs. Available from: https://www.ethicsandinternationalaffairs.org/2017/governing-lethal-autonomous-weapon-systems/ (December, 2017), Online Exclusive,Cambridge University Press. “Battle Bots: How the World Should Prepare Itself for Robotic Warfare”: Foreign Affairs (May 2015). Killer Robots: Toward the Loss of Humanity, Ethics and International Affairs Journal (April 2015). Anti-Vehicle Mines: A Threat to Human Security, Denise Garcia, Ursign Hofmann, Pascal Rapillard, and Stefano Toscano Ethics and International Affairs Journal (November 2015). “Disarming the Lords of War, A New International Treaty to Regulate the Arms Trade,” Foreign Affairs (December 2014). “The Case Against Killer Robots -Why the United States Should Ban Them,” Foreign Affairs, (May 2014). “Disarmament in International Law” Oxford Encyclopedia of International Law, forthcoming in 2018.